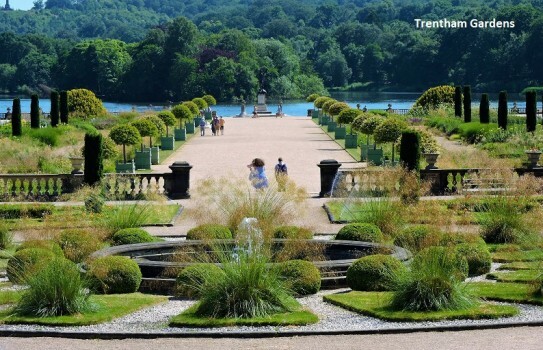 Trentham Gardens date from the Capabilty Brown era with a modern twist! 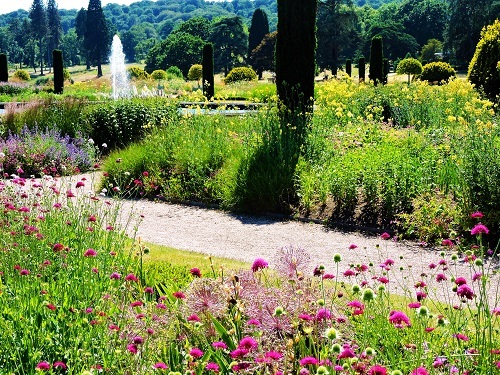 The Gardens suround a lake landscape by Capability Brown - originally there was a great house and Italianate Garden. 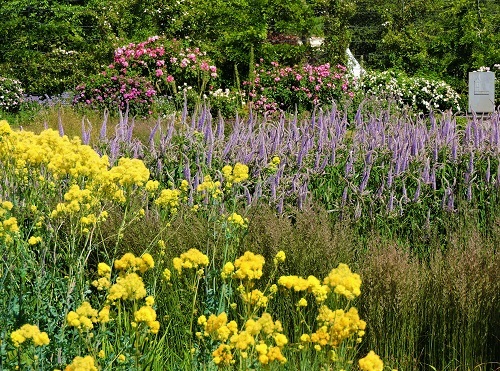 Move forward 250 years to today and you will find one of the greatest garden restorations over the past 50 years. 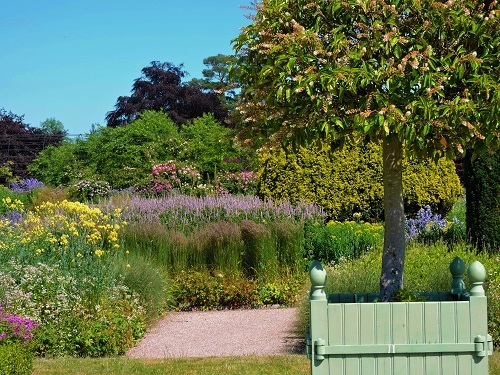 The great Italian Garden restoration was led by Tom Stuart-Smith with stunning collections of plants, fountains and walkways. On the side of the garden there is a long pergola planted with many varieties of roses. 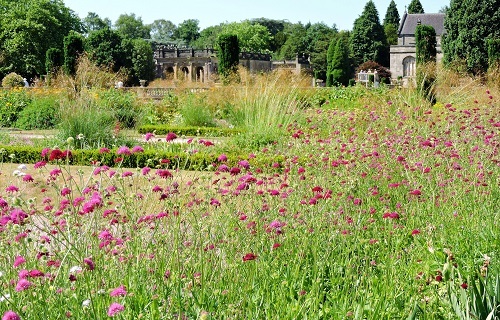 Behind the Italian Gardens you will see the Rivers of Grass and the adjacent Floral Labyrinth. 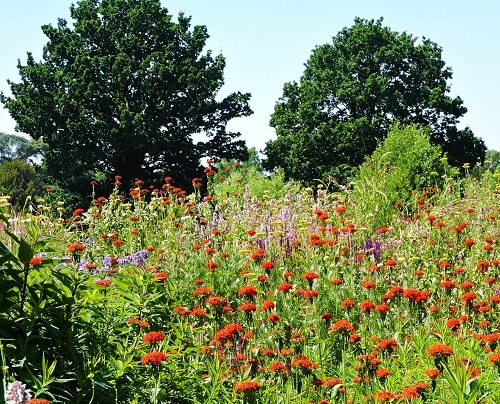 These areas were created by the Dutch Garden Designer Piet Oudolf, who is famous for his prairie style plantings. 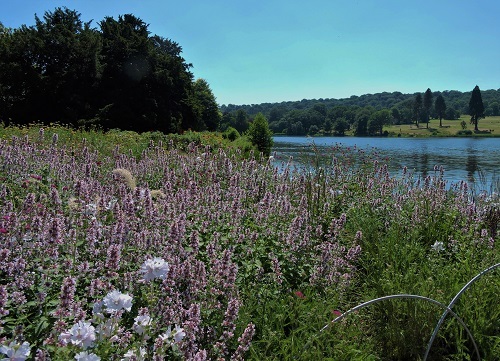 There are more colourful borders adjacent to the Capability Brown Lake You will also find the colourful annual meadows by Nigel Dunnet created in 2016 and covering over 20,000 square metres. There is a circular walk around the lake or if you prefer not to walk there are boat trips. Trentham 2019 - open most of year - see website for days and times. Cafe and restaurant within gardens. Other eating places and artisan shops directly outside garden. Easy parking. You will need to spend a whole day here to make the best of your visit. If you want to find places to stay near Trentham Gardens, stay in one of our recommended hotels. Each hotel has genuine guest reviews enabling you to book from anywhere in the world in total confidence. Look now for hotels near Ttentham Gardens - click here.